You have many choices to make when you’re selecting your engagement ring and wedding bands, and your decision about which metal to wear is one of the most important. There are pros and cons to every metal option, including personal preference and pricing. And no matter which metal you select, we know that you want to make an informed decision about the best metal for you. If you’re debating between white gold and Platinum, here a few of the reasons why Platinum is the premium choice for Tacori engagement rings and wedding bands. To start, Platinum’s naturally white color won’t fade or change color over time. This means, no maintenance is required to maintain a white hue over the lifetime of the ring. Compared to a white gold ring, it’s important to note that gold itself is naturally occurring in nature as a soft yellow metal. In order to change the color from yellow to create a white gold ring, the natural yellow gold must be mixed with other white metals – also known as an “alloy” – to lessen the yellow appearance and strengthen the gold into a formula that can be used for jewelry purposes. After the white gold alloy is created, the initial white color of a white gold ring does often fade over time, and requires maintenance over the life of the ring to restore the white color to a showroom finish. This is different from a Platinum ring, which will not require maintenance to maintain its white hue. Additionally, the metal purity of Platinum is approximately 95% pure Platinum, compared to a white gold alloy, which is approximately 75% gold for an 18K gold alloy ring. This purity makes a Platinum ring not only more dense with this precious metal (as it’s 95% pure Platinum), but it is also naturally hypoallergenic and ideal for those with sensitive skin. This is different from white gold, which is known to contain other metals in its alloy which may trigger an allergic reaction. Additionally, this natural density and weight of Platinum – as Platinum is 60% heavier than gold – are characteristics that make it more durable than other jewelry metals. Platinum does not wear away and holds precious stones firmly and securely. In short, Platinum prongs are better protection for diamonds. Like all precious metals, Platinum scratches. But when these scratches occur on a Platinum piece, they actually create a natural, rich patina on the ring that strengthens the metallurgical properties of the piece. However, the scratch on a Platinum piece is merely a displacement of the metal and none of its volume is lost — unlike gold, which can flake away if scratched and wear thin over the lifetime of a ring. If a Platinum ring is dented (because it is a softer metal than gold), Platinum can often be reshaped, as none of its original volume is lost. In addition to its strength and density, Platinum has another remarkable quality – pliability. Platinum is so pliable, that just one gram of the metal can be drawn to produce a fine wire over one mile (almost 2 km) long. This quality has enabled jewelers to create some amazing versatile Platinum designs, which could not be fashioned from other precious metals. And because Tacori’s designs are often so intricate with the hand-crafted details, Platinum is the optimal metal for our craftsmanship to truly shine. In our opinion, everything looks better in Platinum. 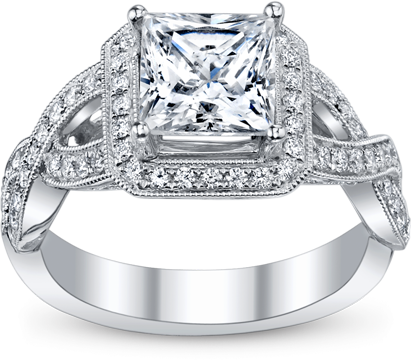 To explore more Tacori engagement rings, click here. 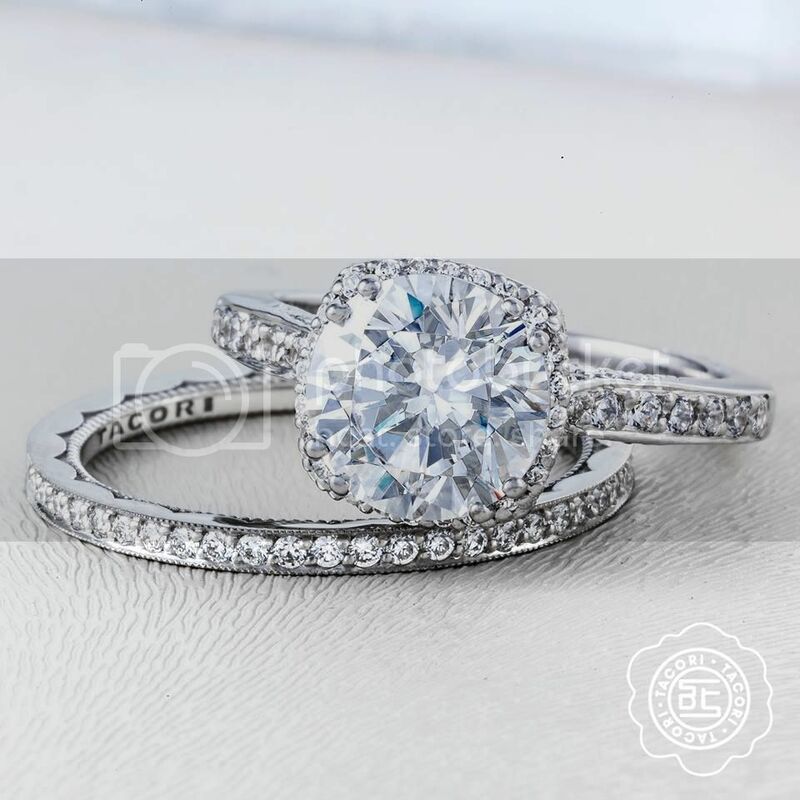 For Tacori wedding bands, click here.